But thanks to Illinois State’s new Social Media Analytics Command Center (SMACC), Demonbreun will also graduate with a new digital skill set that will make her resume stand out from the crowd even more. As one of the first big student users of SMACC, the senior broadcast journalism major is using sophisticated data visualization software to analyze and explain what’s being talked about on Twitter, Facebook, and other social media sites. She’s one of several ambitious TV-10 students who tapped into SMACC this fall to launch The Bottom Line, a new weekly show that’s powered by social chatter. The Bone Scholar from Manteno has made the most of her time in the School of Communication. She started working as a reporter at The Vidette her sophomore year, later becoming editor-in-chief. She’s also made time to become a director for Redbird Productions in Athletics, and a TV-10 anchor. That hard work has already led to a part-time associate producer job with WMBD 31, the Peoria-based CBS affiliate. The School of Communication launched SMACC this fall, making Illinois State one of only a handful of universities in the U.S. with such a space. SMACC helps student journalists synthesize information—one of their top responsibilities—said TV-10 News Director Laura Trendle-Polus ’87, M.S. ’00. 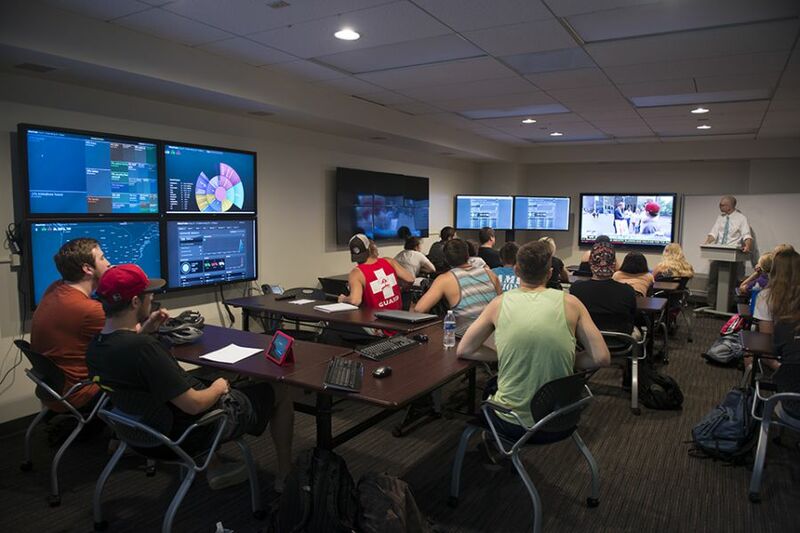 SMACC is being used across the School of Communication, for classes, research projects, and media outlets such as TV-10.